Looking for deeper insight on markets? In tonight’s Closer sent to Bespoke Institutional clients, as equities have continued to move higher, taking out the 200-DMA, we take a look at the various ways the S&P 500 is flashing overbought signals. Next, we recap today’s release of the December budget statement from the US Treasury. 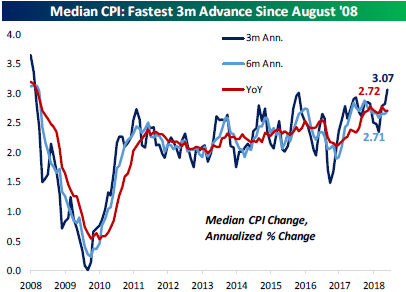 We finish with an update on CPI which showed a pick up in inflation in this morning’s release.